In my last entry, I wrote about the first instance where I realized that something wasn't right, and that I was most likely a frequent flyer of the not-so-preferable kind. In this article, I want to tell you what it was like the first time I told my then-roommates what I was going through. 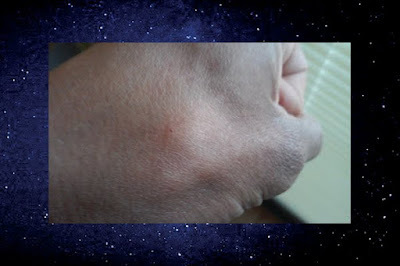 I took a nap one afternoon, and woke up with this spot on my left hand. It was not there before I went to sleep. It started as a spot of congealed blood, and then scabbed over. I was tired of all of it, and eventually, I stopped caring what people thought. I had to let my roommates in on the secret. So one night, I decided to tell the two of them. We were just sitting down and talking about gaming when I started asking them questions about nighttime experiences. They never had anything out of the ordinary happen, and couldn't really relate to me there. I asked them if they heard anything outside at night. (I heard strange noises and small footsteps on a regular basis. These were not animals as I could tell they were tall enough to see me through my window, 4 feet above the ground. Plus animals don't shine focused lights at your face through your window when your eyes are closed.) Neither of them had heard anything. At the time, we were talking in one of their rooms (on the first floor). I was sitting at a computer desk, one of them was standing in the doorway, and the other was walking around picking things up as we talked. Then I dropped the news. I think I made a reference to a few movies that had scenes similar to those I had experienced. I told them about the drill, the lights, the sounds, my headaches. I think I showed them a few marks. I could tell they were listening intently, but didn't know what to think, but the conversation wasn't the most interesting part of this story. Yes, it was revealing, but the most memorable part was what happened after I started speaking in detail about my experience. As I was recounting my ordeal, in mid sentence, I was interrupted by the sound of crunching leaves under footsteps getting closer to my roommates closed window. It was fall time, and the leaves were dry. So there was no mistaking the sound. The pace sounded like one 6-foot tall, bipedal being walking at normal stride. The backyard was fairly enclosed, and the neighborhood where we lived was nice enough to leave one's door unlocked without much of an issue. There had never been any prowlers before this moment, but even if there were, the whole point of prowling is to sneak around without being noticed. These footsteps held no intent of stealth behind them. Whoever was making them sounds most definitely wanted to be noticed. There were four steps (crunch, crunch , crunch , crunch) all leading up to my roommates window and stopping right beside it. The blinds were closed, as it was nighttime. At that moment, we all froze, and at the exact same time, and the same slow pace, all of our heads turned and faced that window. No one said a word. After a few moments of dead silence, I finally broke the trance of fear and apprehension by turning and looking at one of my roommates with a look of proof on my face. He nervously smiled and said, “Maybe it was a rabbit”. Some things are just more than some people can handle, I guess. Rabbits don't cause the involuntary body language of fear. Both of these roommates knew something was very wrong about this situation, but their fear prevented them from taking the steps necessary to consider all possibilities within the situation. In that moment, fear guided them to deny their own senses. Upon hearing this sound, one of my roommates wanted to get rid of this unnerving feeling. He immediately left the room, turned on the light in the back yard (where his window faced), opened the door and went outside to confront the situation. Nothing was there. There was no sound, no footsteps; nothing. Of course they used that as proof that nothing had happened and that we all simultaneously imagined the whole thing. However, such denial is not a luxury I have. Nor has it ever been. It would not be fair to make such claims on a website focused upon discernment without considering all possibilities of the situation. In this case, I would have to consider the possibility that I am completely nuts, and that I somehow fabricated a lifetime of trauma and abuse. It is possible that I somehow received abuse from a very human and very disturbed person or group, and that my experience was so traumatic that it caused me to superimpose the image of a feared villain over the actual identity of my oppressor. I realize that this does happen, or that it could be induced via drugs of some kind, but this is not likely the case. I have never done any hallucinogenic drugs, or abused any substance. I have no mental imbalance or disorder that would cause any delusion, and to my knowledge, I only have one personality to speak of. No one around me growing up had any such stories to give me any suggestion, and I had no reason to be so terrified of the classic images of greys. Yet I was. These images and situations seemed very familiar to me, even early on, though many of them were disjointed in my mind. This phenomenon has followed me on cross-state road trips, and has influenced me both in waking life, and during nighttime visions. (I say visions because, unlike normal dreams, these scenarios never incorporate actual humans in them. Only large, empty rooms and spaces with no life in them whatsoever.) These situations seem to be produced by individuals who have no clue how to mimic human behavior, how to evoke human emotion, or to understand something like emotional fear. Time and time again, these militant greys have proven themselves completely ignorant of what it is to be human, or the value of life outside of their own. The swan has been a common 'screen-image' used on me. There have been times when I was implanted with the idea that I shouldn't have friends or a relationship with any woman because they would only hold me down. 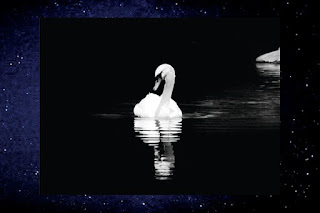 (This idea was implanted with the screen memory and image of a swan or goose.) This was at a very young age, and would have serious consequences in my life experience. It could be said that such beings care nothing about actual health outside of their own experiments, considering their impact. The negative impact does not at all stop them. They see the damage and trauma they cause and just keep right on going, decade after decade. Again, I would say that either these beings care absolutely nothing about human life outside of their own advantage, or they don't at all understand the value of life. So the question of whether or not these beings are human is not really a concern, though I have no reason to believe that they are. They are too short, too cold and heartless to be anything even close to warm-blooded human or benevolent beings of any kind. If my lifetime of experiences were drug-induced, they would not be so consistent or contiguous. I have not been conditioned to the point where any "voice-of-god" technology would be so effective on me that I could be fooled so easily. This leads me to the conclusion that these events are actually happening in the physical world, and most likely beyond. The repetitive cycle of these events has a calculated methodology to it; one of meticulous precision in psychological, manipulative expertise, combined with ruthless persistence and emotionless determination. This has lead me to believe that these beings are either A.I., or possibly controlled by A.I. on a higher level. The source, Cobra, has written some interesting material on the subject of implants. Here is what one of his articles from June, 2015 has to say on the subject. I consider the intel from Cobra to be interesting and informative, though at times, it can be fairly cryptic. Sometimes, I find myself having to take this information with a grain of salt or two, as he has stated before that greys were no longer appearing to people. It may be that on some level this is true on average. Even still, after my life experiences, I have found myself to be a little different than "average". I knew that I had implants on some level, but I didn't know that they were affecting my health and the way my body functioned. This brings me to the next subject--trying to get rid of them. About two years ago, my quality of health and life were steadily decreasing. My energy was through the floor, my pain was through the roof, and I had muscle spasms so severe they were waking me up from dead sleep in complete agony. There was nothing that I knew of that could help at all. I didn't want to see my doctor because I knew the news would not be good. (It wasn't, but it took me about 6 months to a year to finally go.) Even still, I was trying every homeopathic remedy I could find to try and help and to figure out what was going on. One friend of mine told me about the process of implant removal and that there was one source that did it in a way that was more unique and more thorough than others. So I decided to give them a chance. There were quite a few steps that I had to go through in order to have my removal completed. After taking a questionnaire, and having my reading done, I finally got to the actual removal process. After this process was complete, I received an analysis and explanation via e-mail as to what was found within me, and how to proceed afterward. When I saw my analysis, I didn't think much of it, but when I showed it to other knowledgeable people, they were shocked as to how many implants I had, and at the variety of sources these implants came from. Here is that analysis. Notes: I feel on the Grey is both Militarily Greys and benevolent Greys. To be honest, I have no clue why so many races would be so interested in me that they would want to fill me with so many devices. I don't at all consider myself "special" for the fact, but for some reason, all of these groups appear to be keeping a close eye on me. Maybe they know something I don't. Whatever the answer is, no one seems to be very interesting in telling me as much as they are interested in paralyzing me and taking samples and scans. I realize that there are positive E.T.s out there, but it seems that they have no problem being overshadowed by the negative, military types. According to sources such as Corey Goode and Cobra, as well as literary sources such as the Law of One text, the Earth has been under quarantine for some time now. According to the Law of One, one specific quarantine has been in affect for a number of millennia, and was put in place so that Earth could continue to progress naturally and uninterrupted by off-world'ers. If this is the case, it confuses me as to why the lives of myself and so many others have been so thoroughly devastated by these alien intrusions and apparent acts of sabotage. 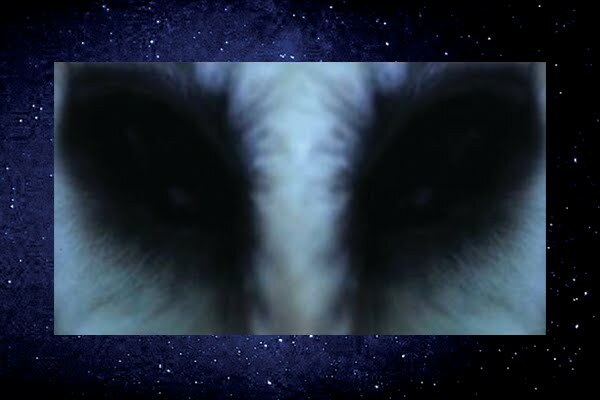 It has been so common to have the most negative, horrendous, and fearful encounters from those who could easily be considered some of the most soulless and heartless beings in the universe, but when it comes to the benevolents, they are nowhere to be found. This also confuses me. If this quarantine is being honored, why was my life so thoroughly sabotaged before it ever began? It seems that the only ones respecting such a quarantine are the positive beings, while the negatives have their fill of human test subjects. For people like me, this quarantine only sustain suffering while no help is given by those who could easily provide it. This life-long experience of abduction is not limited to my own testimony. I also have numerous friends who have observed this trauma within me. I have even met certain intuitive individuals, and these people would be able to tell me my situation even though they just met me. I am fortunate enough to have numerous awakened friends in my life who have remarkable psychic and intuitive ability. The numbers of such people have recently dwindled, but thankfully, I still have a few. 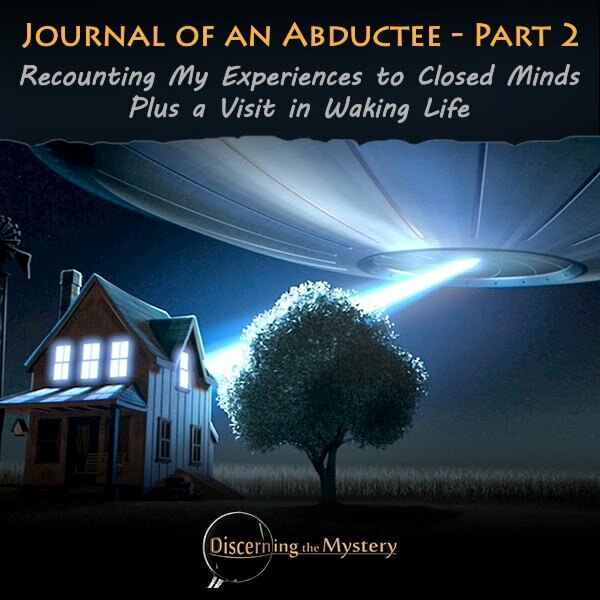 Just recently, one of my close friends told me what a mutual friend/acquaintance read from within me, and that they had also seen my issue of abduction. I had never talked to this acquaintance in depth, or shared any such information with them. I had only briefly spoken with them, yet they were intuitive enough to read this intimate detail about my life. In fact, not only did they read me, they actually had new information on my issue. In the past, I have read and heard about people who were unfortunate enough to have have a certain type of encounters with negative E.T.s. These people were captured, and were etherically manipulated to the point of having their souls removed. The source Cobra has referenced this concept in previous interviews. (Also, Corey Goode has mentioned etheric manipulation of some type in past interviews.) Cobra would describe how those souls would be technologically removed and taken across the galaxy to some foreign location. Here is that portion of the interview from the website PrepareForChange.org. Lynn – This person states: A trusted friend came with me came with the following information and there’s going to be a you tube video within our link transcript that people can refer to for more information. Pay attention to the 10 1/2-minute mark. It states that non-human beings have given man technology of the Military Industrial Extraterrestrial Complex or M.I.E.C. to remove a soul, transfer it to another body and then kill the old body. This is done though an occultist magic-technology call soul transference. So now basically the NSA can download your memory and emotions in a computer and then place it into a new clone. This person claims that when she did a ceremony with Mother Earth Creator, she showed her what was being done to ALL PEOPLE WHEN THEY WERE LITTLE, YOUNG AND PURE. Cobra, can you comment on this. COBRA – I would agree to most of this. There are some things that are not happening exactly as people stated. Yes, the Cabal has technology for a long time to transfer soul from one body to another body. It was happening massively during the Archon invasion from 1996. And it was happening massively and is much, much, much less now. They are not storing the memory on the computer, the soul essence on the computer. They can map the brain and memory connections inside of the brain so they can have I would say, like a dynamic photo of an inner happening of the person. It does not mean they capture the essence. The essence of the soul person can always be set free and can be liberated. No matter what they do, they are not able to stop this process. Thanks to the actions of the light forces especially the RM this is not happening as much, and has decreased almost to zero. This may be a very strange and unnerving subject for many to consider, and that's understandable. The reason I bring it up is because this is the information that I received about myself. The news from both my close friend and this acquaintance revealed was that most of my soul had somehow been taken. I imagined it was taken to some unknown corner of the galaxy (or maybe farther). The intent behind such a theft may have been that these beings made a back-up plan that in case their experiments didn't work in this lifetime, they would simply store my soul away, and use me one lifetime after another. This was the information that both my friend and the acquaintance had to share with me. These are two very intuitive people who have proven their ability over years of time, but even without these confirmations, I could see this or a similar possibility. I would tell myself that if ever I found out that I was some kind of clone, and that my real body was stored away in some stasis chamber somewhere, I would not be surprised (though I'm not a clone). I knew something was very wrong about my life, but I didn't know what. So when I heard this news of the possible theft of my soul, I was not that surprised. In fact, it was both affirming and maddening to hear such a thing may have been allowed to happen to me under a supposed "quarantine." Though I realize the likelihood that such travesties were allowed to take place as terms for such a quarantine. If they weren't, humans may be being mutilated and eaten like cattle in broad daylight as apposed to in secret. Never the less, this appears to be a complete violation of the Law of Free Will, according to the Law of One. Quite honestly, it makes other efforts of benevolents to supposedly honor this law seem like hypocrisy, but I try to imagine that there is some higher reason for a lifetime of, well this. It would be nice to have solid proof for all of this, but right now, all I have is the scars and spots of blood I wake up with. Aside from proof, I want to find a way to completely eliminate this nuisance. Presently, it seems that every time I make progress, it starts up again. At the moment, all I can do is hope to find someone with the knowledge of how to stop such beings permanently, and that this source will share their knowledge with me. It would be nice if forgiveness was all it took to get rid of the problem, but I learned early on that these beings can take advantage of forgiveness. They seem to see it as nothing more than weakness, and consent to continue their soulless violation of humanity. (I have observed this tendency over and over again.) At this point, it seems my approach to freedom may have to be a little bit different than just forgiveness. If I do have a choice as to how my life progresses, I have not been made aware of how to communicate it to those who care nothing about choice. I expect this to change immediately, as I don't see any point of acknowledging the importance of "non-interference" if such gross interference is already taking place. With regard to people like myself, it seems clear that no quarantine exists, and I fail to see any reason for positive E.T.s to sit back and let all the negatives have all the influence they want. Then again, I may have missed something. I wish I could give you a hug right now, because it seems like you could really use one. Just know that you are not alone in this and you never will be. May I suggest reading the Conversations with God trilogy by Neale Donald Walsch. You can listen to them for free on youtube. I've been going through them again recently and believe they may hold the answers you're looking for, or perhaps not. All I know is they've brought a higher perspective to my life and my trials. Excellent books. They have changed my life. Actually Conversations with God helped me free myself of a very dark spiral of hatred and demonic possession. I understand every word of this article you've posted. I completely disagree with this supposed "quarantine" and the extent of the dumbing down and the poisoning of our world and societies. And then, all by ourselves we are to magically rise up and save ourselves from this horror of a life we are living in. That to me is complete madness. I cannot understand how benevolent Beings of Love & Lightness can stand back and just watch what happens. They even admitted that this a great experiment. And how could they have let negative energy and A.I. become so powerful that we might loose our Universe to them permanently? Is there even a kill switch to immediately stop this experiment that has gone so wrong? I feel it has definitely gone too far for far too long. I often think that I must go to the Galactic Central Sun and have my soul be made non-existent to escape this corrupted Universe. I just don't know. I seek the Truth everyday. I even "go inside" of myself for answers. I contemplate on my beliefs and perceptions everyday. I hope the Truth will be reveled in my lifetime. Because, I strongly feel that I am at the end of my rope to cope with this madness happening to our World and to her inhabitants any longer. Peace, Love & Lightness to All. I can relate to some of your experiences. I still am not sure if I have been physically abducted, because I lack many of the abduction symptoms. I feel pretty strongly though that I have been etherically abducted (or astral or whatever). I have had the most experience with the Draco. I still do not fully understand all my experiences and still am trying to make sense of the big picture of my interactions with them. I will be sharing those pubically in detail in the near future as some things clarify. However, I would like to talk about implants. Now I have not dealt with any physical implants that I know of. But I have successfully removed etheric implants. Many etheric implants, once you can psychically see them or feel them or somehow become aware of them, you can simply remove them and visualize them burning up, breaking, etc. These are the easy ones. Other ones that won´t come out easily, I then communicate with them. ¨What are you showing me?¨ ¨What are you?¨ ¨What gifts do you have to give me?¨ Often the implants themselves dont reply (although sometimes they have) but what that does is open myself to receive the deeper spiritual purpose behind their seemingly negative presence. Often, once I understand what spiritual lesson or insight there is present in them, then I can remove them or they dissolve. 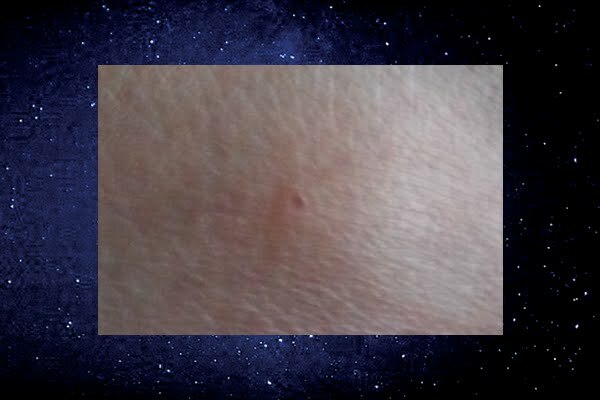 It was located in my solar plexus, right around my diaphram-stomach area, more or less along my midline and below my chest. I have had extreme digestive issues and fatigue and all kinds of other health problems for many years. But that is another story. I always felt like something was there, disturbing me. But Ill get straight to the point. It was a spherical shape. It kinda looked like a disco ball but had this very fast ¨eye¨shaped image that would scatter around the surface of the sphere at high speeds. The ¨eye¨could never be pinned down, it was always moving. It kinda looked like that small hovering robot sphere that Luke used to train with with Obi Won Kanobi (spelling??) in the original first Star Wars, episode IV. Anyway, I tried everything. I would remove it with my minds eye in meditation and it would zip right back into place. When I would focus on it, I would hear this strange artificial ¨frequency jammer¨noise, is the best way I can describe it. When I would get really angry and force it out with my will, it would get even stronger. I realized that it was a very clever implant. It would power itself from my etheric body somehow by the more I fell into negative emotions, the stronger it would get. It seemed to scramble any coherent, positive emotions/thoughts into chaotic, negative states. Then one day I was watching Randy Cramer, a super soldier who used to be on Mars, talk about how he removed his implants. He said that there is a universal law. Anything that is in your body, you own. Period. You can allow others to deceive you and think that they own you but you own whatever is in your body and you can do what you want with it. I had an epiphany when I watched that and about an hour later I went in my room and meditated. 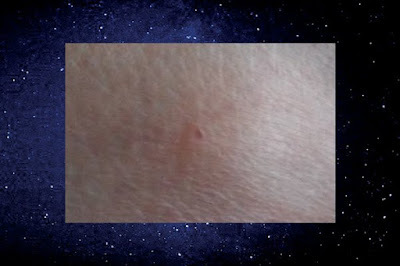 I went straight for the implant, observed it, felt it, then with all my being said: ¨I own you. You are mine and I can do whatever I want with you.¨ I kept repeating this and felt the power of owning this object in my body. Then I said: ¨I program you to radiate love, joy and truth.¨ My mind not waivering and giving into to powerlessness, I kept firm and repeated these phrases until I saw the implant turn golden and I began to feel love and happiness emanating from my solar plexus. I felt powerful. Then I noticed these spiritual guide beings showed up surprised and congratulating me. They shared that what I did was ¨unexpected¨and took them by surprise and gave me a huge amount of encouragement. I did not remove it. I just programed it to be beneficial to me. I kept doing the same thing every night in mediation. Then about 3 days later, it had become so weak from the lack of negative emotion fuel it was getting from me, I could easily remove it with my mind and visualized it breaking up and burning up. It has since never returned. This was one, of many, turning points of empowerment for me. After that I feel grateful for its influence in my life as I chose to use it to empower me rather than disempower (well it took me a few years of extreme suffering to realize that!). So I just wanted to share that with you and see if that helped. I know these negative types feed on suffering, negativity and especially disempowerment. They do all kinds of things to enslave and disempower. However when they do, they always run the risk of being exposed. WHEN YOU LEARN WHAT THEY ARE DOING AND EXPOSE THEM--USE THEIR DISEMPOWERMENT TO CATALYZE DEEPER EMPOWERMENT IN YOURSELF--THEN IT BACKFIRES ON THEM. They dont want that! Once you get practice at it then they just stop screwing with you because they know if they do they will lose. You become more powerful than them! Check out Tom Montalk. He has helped me greatly. Also, these meditations have truly transformed my life. I have used them to help me remove implants and other forms of hyperdimensional control. Great torsion field technology. Blessings and keep up the good work!! !